Language is undoubtedly one of the most diverse and fascinating events in a child’s life. Babies are all born predetermined to communicate. Why not learn what we can do to stimulate this? Whether you work in childcare, have your own, or are simply interested in learning how you can encourage children to communicate, I will share with you what I have learned throughout my own practice and experience with children. I will refer to both classic and contemporary concepts and information which I input on a daily basis. Although, the most effective way to challenge this is to experiment what works and what doesn’t! Ultimately, the least you will achieve from this is a deeper understanding and connection with your child. Studying language has always been a great interest of mine. Throughout my experience, I have observed a vast pressure placed on both parents and professional childminders. A multitude of dos and don’ts which absolutely put the fear in those beginning a career or family. It is not easy but you must trust your judgement, you’ve got this!! And if you ever feel a little wobblily, Nanny M is here to guide you along! In a super cool way, let me go put on my superhero cape. Boy, that makes me feel powerful, ha! Communication begins even before birth. As your little one is growing inside you, he is already picking up the language which you and your loved ones are saying to one another. He is hearing your voice and music nearby and already becoming comforted by his mother’s voice. Your experiences with the world can affect the little human inside you, so it is a great time to relax as much as you can. No one can be a yoga master 24/7 however, if applicable to your lifestyle, try to take a little time each day for yourself and for your little one growing inside you. Before you know it, your little ones are popped from their cosy cocoon’s and into a bright world, filled with endless language. When babies are born, both he and his Mother will be studying each other’s appearance and this will be a wonderful moment in which nothing else will matter as much! After about two days, the baby already knows and recognise who their Mother is. Her voice will become one of the most important, lovely sounds to the baby. All babies are predetermined from birth to connect and seek out that connection right from the start of life and beyond. As a beautiful new baby is held in their Mother’s arms, both you and your baby’s first instinct is to look at each other. This is not something we even think about doing. It is natural for us to seek out a connection with others. Doing this already shows that little babes rely on their communication being reciprocated! At this early stage, your baby’s eyesight will be very blurred as their retina within his eye is not fully developed. Your baby’s eyes are not receptive enough see yours clearly at this stage. You will probably become a little bit of a blurry Mama during this time to your little roll of fun! As you and your baby study each other he may look somewhere on your face or perhaps over your shoulder. Shortly after birth, this is still a massive step for your baby who is studying and connecting with the world which he was born into. Fully formed adult retinas are able to recognise the difference between light and dark colours, however, as your new born’s retina is at its very early stages their eyes may blur colours which are weak or similar. When your baby is roughly between the ages of 6 and 8 weeks, his eyesight and his recognition of smaller details will be strengthening. You may notice your baby beginning to form eye contact with you at this age, however, it is perfectly plausible for this to occur sooner. It is not essential, but if you would like to stimulate your baby’s retina you may use black and white stripes- perhaps in your baby’s nursery. This will encourage your child to distinguish between light and dark which will ultimately aid the growth of nerve connections and produce quicker visual development for your baby. With this said, turning your house into a zebra crossing is not always applicable or affordable for many families, therefore this is not something to stress over! Your baby’s eyesight will develop over time just as many have in the past! Another very natural action of language is to speak to your baby. When I first began working with babies, I always wondered why I suddenly melted inside and the pitch of my voice became higher than if I were to bump my big toe on the edge of the bed. When in fact, not only is a higher tone natural to us it is something which your baby will respond to positively. One of my favourite experiences working with babies will always be making them smile, and then for that smile to develop into a laugh. Some studies suggest a very high voice may be how babies would perceive their own voice. Your baby will also begin to associate a higher pitch with musicality and rhythm- which is also linked to why music is so lovely and important for babies to be exposed to. In fact, music will help your little one’s all-round development, not just his language! A baby’s hearing will be developed shortly after birth, therefore, you will be able to get them listening and responding. Your little ones are all predetermined to learn and understand music, after all, it’s very common to hear babies making up musical sounding tunes and little squeals when they are babbling. Some parents like to sing to their children, perhaps during feeding or bedtime. This is not essential if this isn’t for you but it can be another lovely way to bond together and comfort your little one. For example, some times I may do this during bath time. And eventually, I see children either doing some actions from the song or humming the same tune during bath time. This is lovely as it shows how much they have remembered, settled into a routine and learned about rhythmic beats. Some studies suggest that babies and children who are subjected to music and a little more open and are able to communicate their feelings more frequently. It’s not to say children and babies who don’t have this experience will be unaware of their emotions, not at all! However, music and teaching can be a fantastic all-round language tool and coping mechanism for their own feelings and experiences later in life. In learning any language, it is perfectly understandable to become overwhelmed when speech is fast. This is even more appropriate for babies! Slow speech and emphasis on your mouth give your baby the tools he needs to pick up sounds which he may have missed otherwise. This does not mean you must pretend you and your baby are in a slow-motion film all day, simply take 10 minutes a day with him. This will not only support your baby’s communication but it will create a stronger bond between you both. Your voice as a parent will become the baby’s favourite voice as he relates it to comfort, warmth and food. However, as babies are learning the importance of speech and communication, their language will develop from tones and moods which are slightly more obvious at this age. It is important not to underestimate how much your baby will observe and react to. For example, smiling and creating a calm environment for your child will have him react in a positive way and if you are angry and maybe shout at your baby he may cry or become distressed. Crying is a baby’s first form of communication and then the baby’s around the age of 2 months will begin “oohing and ahhing”. Sometimes without even thinking about it, we repeat these sounds back to your baby. This is teaching him the basics of speaking and communicating with one another, and then the teaching of forwards and backwards reciprocation of conversations. Also, even though you might not understand your baby yet he will feel at ease and encouraged when you show he is understood. Doing this will also greatly benefit your bond. Around 4 months babies begin to babble by putting sounds together in an incomprehensive, yet exciting way. Even more so you might like to repeat these sounds to him just as before and possibly move onto letting him listen to different types of music. This is fantastic for your baby and will eventually teach him about sequencing, rhyming, words and emotions which music and represent. The power of simply talking is definitely overlooked. It is not something to do until you are blue in the face however you can think about talking during activities such as bath time. You might like to talk about the bubbles, how hot the water is and perhaps the textures of any bath toys you have. This will engage your baby in different language during bath time and is a lovely way to spend time together. As mentioned previously, you can encourage your child to listen to music however as your baby grows you might like to learn songs which have actions to them or perhaps find a recording of one online. To name a few, head shoulders knees and toes, sleeping bunnies, Humpty Dumpty and twinkle twinkle little star are always popular! You can teach your children the meaning and difference between words like “up, under and through”. Sometimes it is useful for your children at any age to learn what it means to physically act out these words. You might like to help them by making obstacle courses or perhaps treasure hunts. For example, if a child is perhaps under a blanket you can re-enforce that he is underneath and the blanket is on top. When teaching your baby you might like to input theories such as The Zone of Proximal Development by late Psychologist Lev Vygotsky. You, as a parent or caretaker can use this when you have recognised something which is just slightly too hard for your child and use your own input to help him master this skill. As your little ones are growing from babies into toddlers, their language skills are developing more and more. No longer are they little squishy sacks of sleep, they have transformed into running, mischievous and often very vocal little monkeys! By now all the language they have experienced from birth has formed so many connections within their brains, and now those connections are ready to be strengthened! Many recent studies state that the more a child experiences and learns the more neurons (cells) will connect in their brains. So, this is also true with language and explains why babies and young children can have developed knowledge of multiple languages. You’ve probably heard the expression that young children’s brains are like sponges. Babies who hear multiple languages from the womb and after birth, their brains will become so accustomed to separating small differences in sounds from one language to another. These tiny differences in sounds variations can be exceedingly hard for adults who have not been exposed to this from an early age to separate and recognise. For children learning languages this will become like second nature. Toddlers who are around the age of 1 year old will be at the beginning of communication using words, they will repeat and sometimes imitate what they hear. They might say the odd word here and there and they will be able to follow simple instructions. 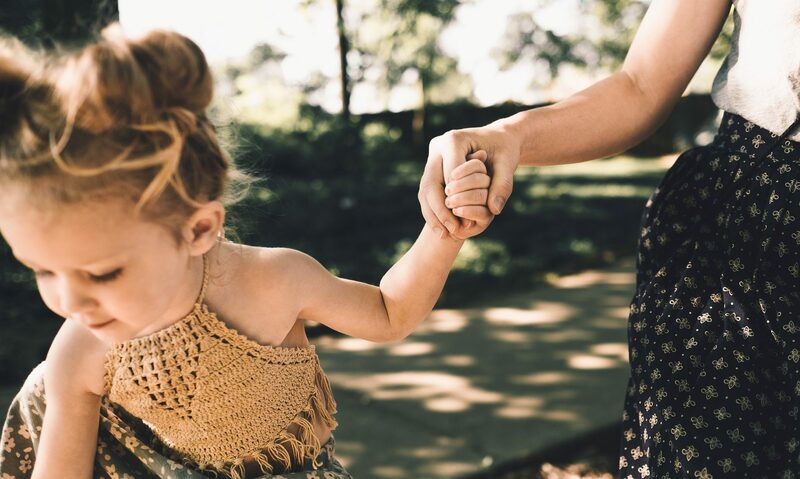 Toddlers reaching the age of around 2 years old may use basic gestures such as “hello, or bye bye”, none the less it is perfectly typical for toddlers of this age to interchange between babbling and words. With this said, no toddlers will reach milestones at the same time and there is no need to feel pressured or rush your little one. Take your time and engage him in conversations as much as you can. Toddlers will learn at some point communication is vital in order to receive what they want. You might like to develop language at this stage by encouraging your toddler to learn things like size difference. You could use your family or perhaps a storybook as a visual representation. For example, you can talk about an adult in the family and compare it you your toddler’s size and already he will be forming knowledge of differences between big and small. From this, you can lead to possibly shoe sizes/ muddy footprints if suitable. Toddlers at this age are constantly observing language and communication around them. If you were to give your little one a toy phone, isn’t funny how he is most likely put it to his ear and expect someone at the other end? Toddlers around the age of 3 will be beginning to answer simple questions after stories, they may start to enjoy simple jokes and be able to use imaginative play. However, you can help your little one really understand stories by encouraging them to become physically involved using imaginative play! As your little ball of love is growing and developing their linguistic skills by the age of 4 he will probably be using longer sentences and be able to socialise with other children. Your child might be able to correctly structure sentences describing events which happened in the past and events which are happening in the future. If your child is grammatically incorrect then make a point to correct him when this happens. For some children, it can be difficult to understand feelings and emotions. You can help your little one to differentiate by encouraging talk about different feelings and what kind of facial expression is linked to this. You might also like to represent feelings with colours. For example, use traffic light colours. Green connotes happy, pleasant feelings, amber for mixed emotions and red for feelings like anger and frustration. From this, you can lead on to teach your child between right and wrong behaviour or when he should stop before a busy road. This may be helpful to you and a pleasant change from shouting “stop”! To further help your child on this topic you can use pictures of feelings and the written word underneath. As your child reaches the age of 5 or 6, typically his language will be developing and probably getting more and more fluent. By this age, children may have knowledge of opposites (soft/hard etc) and maybe beginning to write their own short stories. You may even notice them enjoying to describe a story back to front and believe me, they sure will! Your little one at this age will probably be able to count up to around 20, but higher or lower this is still great for their development. Children around 5 years old will probably be bouncing with energy- you’ll probably wonder if this madness ever ends! At this age and upwards your child will be becoming more interested in how the world works, and this is such lovely life skills to give her. Typically, as your child’s language will be pretty developed by this stage he will be more inquisitive and curious about things. They will be increasingly dependant on reasons and explanations on why things are happening. Perhaps if you are on a bus, train or in a car you can talk about different types of transport. Or, if your child enjoys role play you help him learn about things like thermometers and which profession you use this in. Depending what the child enjoys, I have participated in this type of play with children and we have ended up making planes, castles, boats, cars, houses, really the list is endless! You can buy a simple bandage and encourage your child to wrap up a doll and maybe talk about why they need a bandage. Already you are giving your child the skills they need for life! I believe childhood should be magical, yet children are provided with the tools they will need to expect what is next in life! Isn’t growing up hard! Throughout this amazing time remember to give you and your child some down time! Let do what he enjoys, in between learning he will appreciate some time to just have fun or wind down with a movie. As for you, a cocktail in each hand sounds about right! As always thank you so much for reading! I am overjoyed to share a big part of my life with you all and please comment below and let me know what you think! So well written! Love it! Previous PostPrevious Baby name inspiration and their meaning! Celeb names, unique names, names from around the world!